Sometimes losing weight isn’t that difficult, but keeping it off is extremely hard. 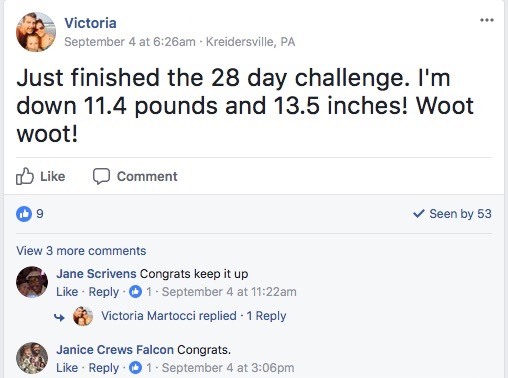 You get encouraged when you see the weight dropping, then at some point you hit a plateau and all that confidence you had before starts to go down the drain. That is a time where you need to really start pushing yourself. Don’t let yourself get discouraged because that is when the weight starts to creep back into your life. When you want to make sure the weight you’ve lost stays off, it is only going to take a few lifestyle changes that’ll keep you over the edge. The following tips are ways that will help you keep that weight you worked so hard to get off, stay away from you for good. It might sound cliche, but losing weight, no matter how much you weigh, all comes down to the lifestyle that you wish to live. If your life is filled with junk food, booze, and little sleep, then you have an uphill battle to keeping the weight off. Nobody is saying you can’t have fun, but your body performs a certain way and when you go against it then the unwanted weight is gained. 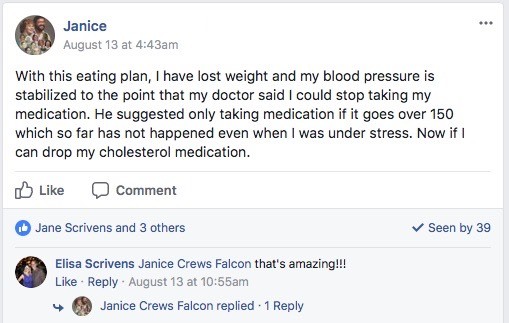 None of these lifestyle changes are overly dramatic. Many of them simply involve changing your mindset. If you can do that you’ll be amazed at how much you can change. Hopefully, you’re working out already and trying to live a healthy lifestyle. After a while of working out, you may start to feel a little lethargic and are just going through the motions of each workout. Maybe this is because you have fallen into a comfortable routine that hasn’t changed in a while. Your body also may not be experiencing the changes that it did when you first started working out. Just like your mind gets comfortable, your body does too. Your body gets used to all of the movements you do during your workouts. Your muscles become more efficient and start to burn fewer calories. This is why it’s important to switch up your routine every once in a while. I’m not saying change it often, but when you switch things up, you keep your body guessing, forcing it to make adjustments. When your body is forced to adjust on the fly, it’s going to make changes faster. It works differently in these situations. If you need more exercises for certain parts of your body you can look here..
Also, maybe it’s time to do one of the Thrive/Strive challenges. Healthy foods that are naturally crunchy usually tend to contain more fiber, which will help aid in slimming down your waist. Most of the time, these foods are also much lower in calories than the processed foods that you see. 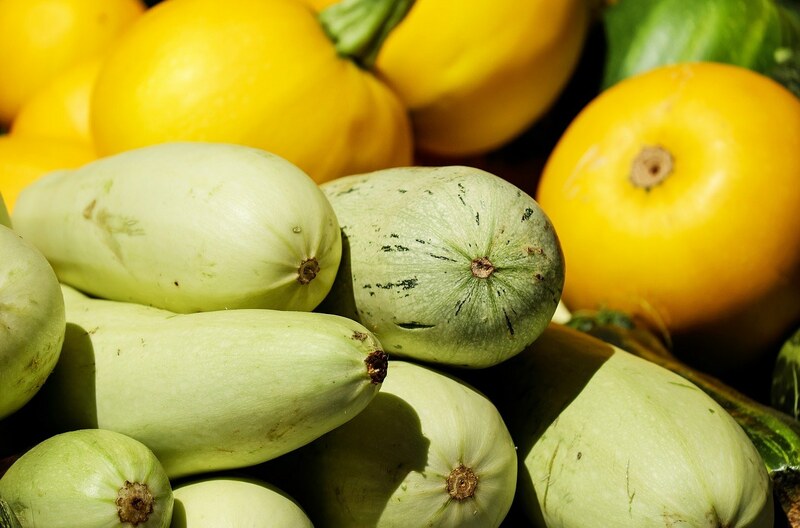 Fresh veggies or nuts are foods that will give you the crunch and fiber you are looking for. While eating these foods, you are going to feel satiated for a longer time. Sometimes you may not even feel full, you just won’t be hungry. This means that you won’t feel the need to eat more food during your next meal. When you consume less food, you are consuming fewer calories and this will put you in a caloric deficit. Caloric deficit is when you are burning more calories than you are consuming. This also means that you will be losing weight as well. If you need to snack then check out these 7 fat-burning snacks you can eat to lose weight. Everyone eats their meals differently. Some of you may mix your food, some people may care about the order in which they eat the food on their plate. If you are looking to keep weight off, you should eat your vegetables first. This is going to keep you from overeating during your meal. The veggies give you that satiated feeling faster than other foods that are on your plate. Again, being low in calories, you are only going to benefit from this. Not overeating will keep your calorie intake low which is something that allows you to drop pounds faster. Processed foods are packed with extra fat and other unnecessary ingredients that you don’t need. Not to mention, the number of calories that processed foods have is significantly more than foods that are part of a healthy diet. Sticking with clean foods that aren’t processed or very minimally processed, you are going to get the nutrients and benefits that will actually contribute to your health. Processed foods may taste delicious, but you are hurting your body more than helping it, especially if you are looking to lose pounds for good. One of the biggest reasons why people stick with processed foods is because they are convenient. Sometimes you don’t set yourself up for success by taking the time to prepare clean foods. It’s easier to grab a bag of chips. Cut that out! Most processed foods are loaded with carbs that go against your mission. If you are able to cut out processed foods completely, you will be taking away a lot of potential fat and other bad ingredients from entering your body and hurting any weight loss goals you may have. If you haven’t heard yet, it takes your body about 20 minutes for your body to start having that full feeling when you are eating. Because of this, if you start to slow down while you are eating, you won’t be risking overeating. Slow eating allows you to enjoy your food that much more as well. What’s the point in eating fast and not giving yourself a chance to really taste your food? Eating should be an enjoyable experience. Eating too fast can also lead to stomach pains because you aren’t giving your body time to adjust to the food you are shoving down your throat. Your stomach will get overflowed too quickly and that’s never fun for anybody. For the people that love chips and crackers, it would be very beneficial for you if you replace these with popcorn. Popcorn is a great way to get fiber in your system without having all the extra fat and salt that chips and crackers have to offer. Fiber is something that you need to have in your diet if you are wanting to keep the pounds off. Plain popcorn, not the movie theater popcorn, will provide you with a healthy alternative to all the chips and crackers. Popcorn that is heavy on the butter is going to taste great, but you are being counterproductive. Yes, you’ll still be getting the fiber you need, but the butter is adding much more fat than you need. You might as well just stick with a big bag of chips instead of trying to get the best from popcorn. Looking for a safe popcorn? We love SkinnyPop Popcorn. It can be extremely easy to eat portions that are way too big for your weight loss goals. This is understandable though because not many people understand what a healthy serving size is. Depending on what you’re eating, the portion size is going to vary. So not only do you need to know what you’re about to put in your body, you need to understand how too much or too little of what you’re about to eat is going to affect your weight. To understand all of this, you need to understand food labels. Here is a quick guide to understanding food labels. On top of that, you are going to need to know exactly how portion sizes work. Don’t worry, we have you covered here. Remember how I said earlier that fiber plays a key role in weight loss? Well, that still applies and should be applied during any meal. Protein is something that should be added to every meal as well. One meal that people seem to neglect when it comes to their health and weight loss goals is breakfast. Cereal isn’t going to cut it when you want to keep weight off your body. Add meat and eggs to get the protein in your breakfast. Your body needs protein when it’s trying to lose weight and keep it off. It not only helps build and repair muscles, it gives you that satiated feeling for a longer period. Protein also affects the way carbs are absorbed in your body and used for energy. By now you should already see the benefits of fiber when it comes to weight loss so I shouldn’t have to really dive back into that. If you’re trying to avoid meats then check out these 8 high-protein non-meat alternatives. Yes, we mean added sugar. Not all sugar. You just need to watch the sugar that doesn’t come in foods naturally. You aren’t going to be able to avoid all sugar, but you definitely need to have sugar in your diet for your body to fully function. You will be surprised at the difference not having added sugar in your diet makes. You can drop serious pounds quick when there isn’t any refined sugar in your body. Refined sugars create more fat cells in your body. Fat cells lead to more fat being on your body. If you cut out the added sugars, you cut out a lot of what adds fat to your body. These sugars are harder to get rid of as well because your body doesn’t look to them immediately when it is looking for a source of energy. If you want to do a sugar detox then we suggest you get started with our 3-day detox diet plan. Drinking your calories is something that a lot of people don’t realize hurts them when it comes to weight loss. By this, I mean drinking stuff like soda, coffee, or even sports drinks. People don’t see the significance of drinking these calories because they don’t necessarily have any effect on how full you feel. Eating 300 calories and drinking 300 calories is still going to be the same no matter how you look at it. The only difference is that 300 calories worth of food usually takes up more space than 300 calories of a liquid. If you really need to drink something, water is always the best option. Water has zero calories and will just pass through your body while helping make sure everything is running properly. Your body is more than likely a sugar burner. What I mean is that your body is going to look to burn off any sugar it has before burning off the fat. A keto diet changes your body and makes it a fat burner. You will burn fat before sugar which will help you lose pounds at a much faster rate. If you want help getting started on a keto diet, ThriveStrive has you covered as always. Make these simple lifestyle changes and watch the weight come off and stay off. They may seem difficult at first especially if your diet or workout routine hasn’t been something to envy your entire life. Sometimes all it takes are tiny adjustments to finally start achieving the results you are looking for. All you need to do is set your mind to it and make it happen. 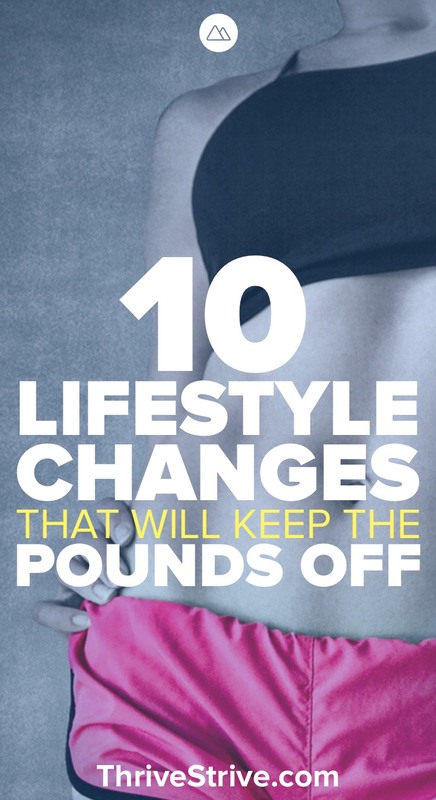 Enjoyed 10 Lifestyle Changes That Will Keep The Pounds Off? Share it with your friends so they to can follow the Thrive/Strive journey.